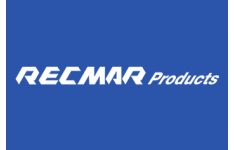 In order to address a safety issue for small children, RECMAR Products developed Christmas Stocking Hanger Kits to meet a void in the holiday marketplace. 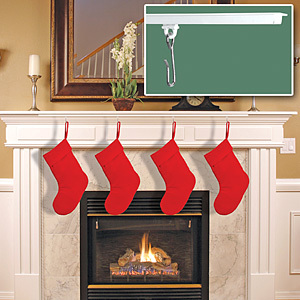 These kits allow homeowners to easily install track systems under their fireplace mantels, providing a discrete and adjustable way to hang Christmas Stockings and other decorations. The track can remain mounted all year, as the low profile and range of colors make virtually unnoticeable when the hooks are removed. Because the hooks slide, it is easy to rearrange the stockings or decorations. This unique product eliminate the risk of children pulling down heavy mantel top hangers that can cause serious injury, and frees up your mantel space for other decorative displays. These kits can also be mounted in door and window frames and under shelves as well. Kits include everything needed for installation, and replacement hooks are sold separately as well.